- Deck protectors are now standard on all units moving forward. - Stools are coming and will costs around $50. 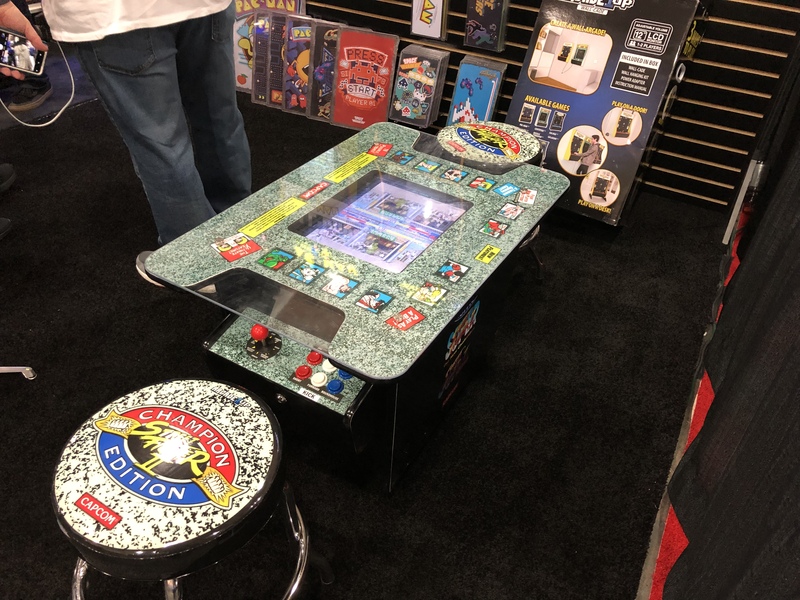 - Yes the risers will feature special artwork pre-applied to par with your cabs. - MK cab does come with the bat type controllers. 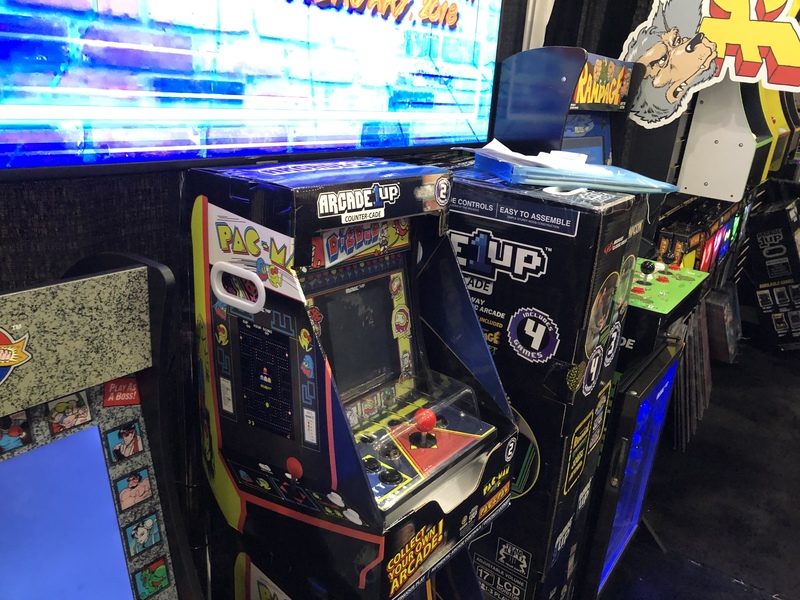 - Regarding light-up marquees on the cabs it will depend on what retailers decide to offer. - They are working on stereo sound for units for when it is appropriate to include it. 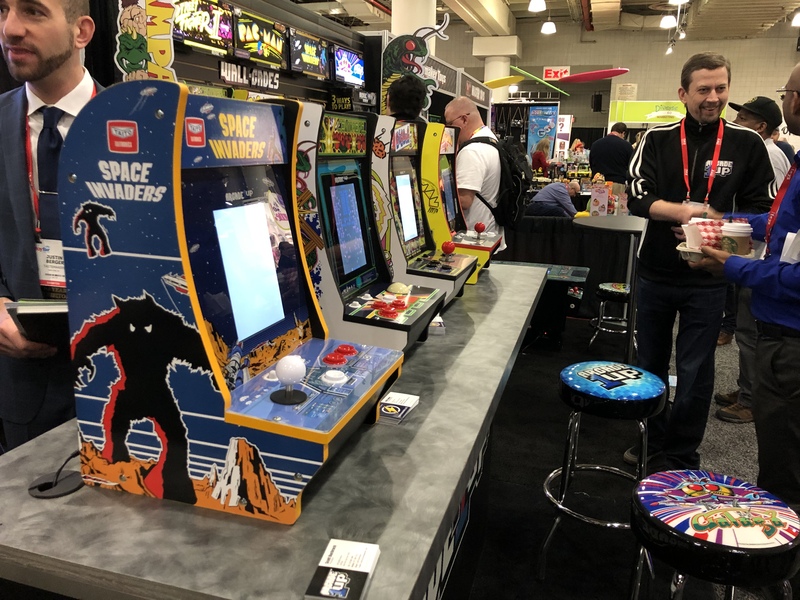 The Space Invaders cab will be coming to Walmart as an exclusive and will be limited. This should be available very soon. Tastemakers expects it to sell out by the summer, so get yours when you have the chance. Unclear if there will be another version with different artwork available later. 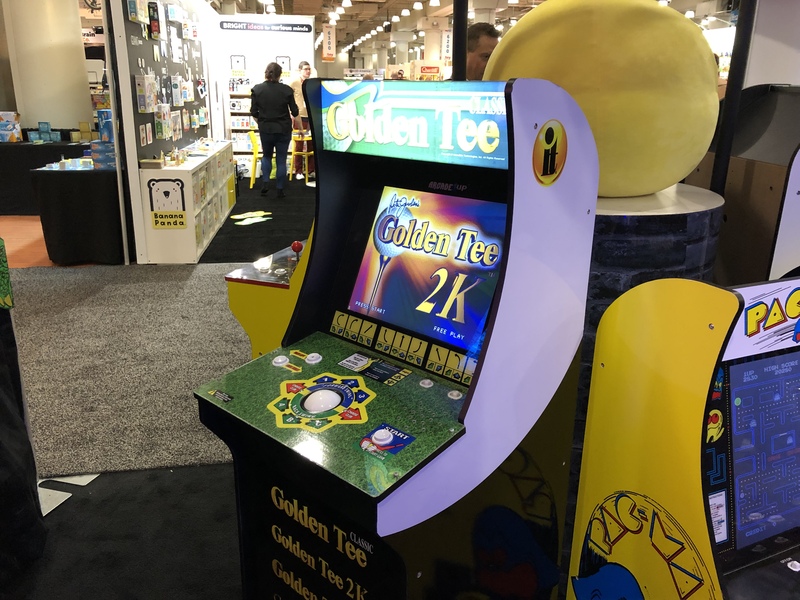 Mortal Kombat and Golden Tee will be releasing around Father's Day. Yes, in May and not September as originally rumored. You can expect Karate Champ in the fall. 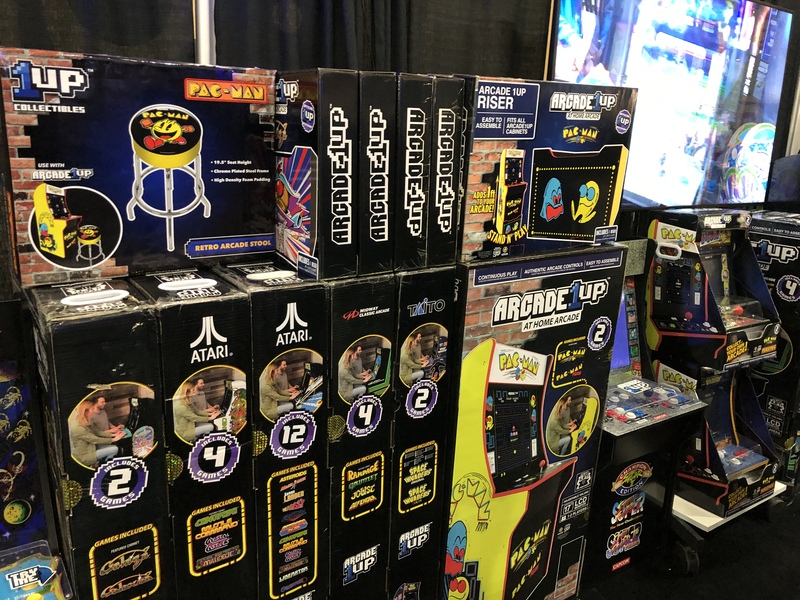 We may see Asteroids Deluxe available again at Costco, or another retailer, but it is coming. Final Fight is still set for the spring. Regarding the website. Expect something to launch around 1 March. 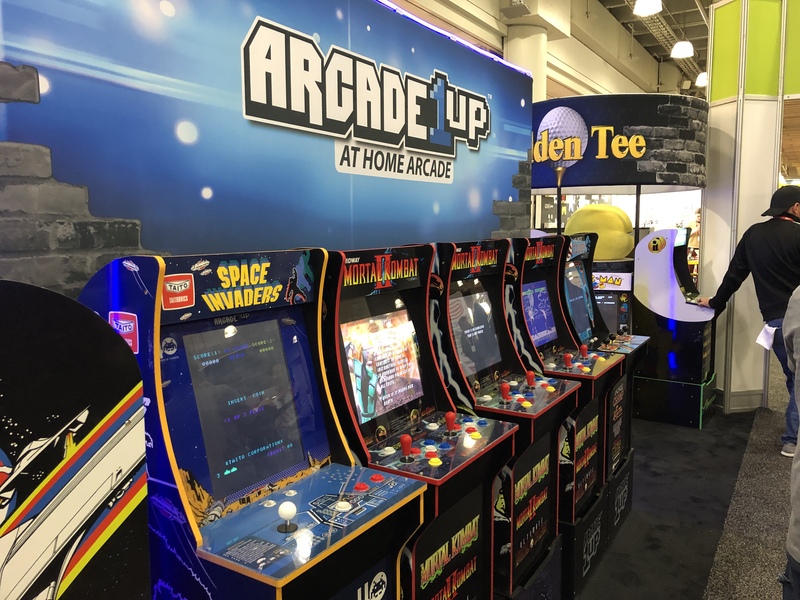 Details are still vague but there will be things you can purchase to enhance your experience such as bat-style knobs, a better track ball, a better knob for the asteroids cab, and other upgradeable components. Maybe even risers. We'll have more the closer we get to the launch date. Do not expect the complete units for sale on the site. Regarding pricing of the wallcades or countercades, nothing is final yet but expect $200-$250 for the wallcades and around $150 for the countercades. Look for these in the fall of 2019. 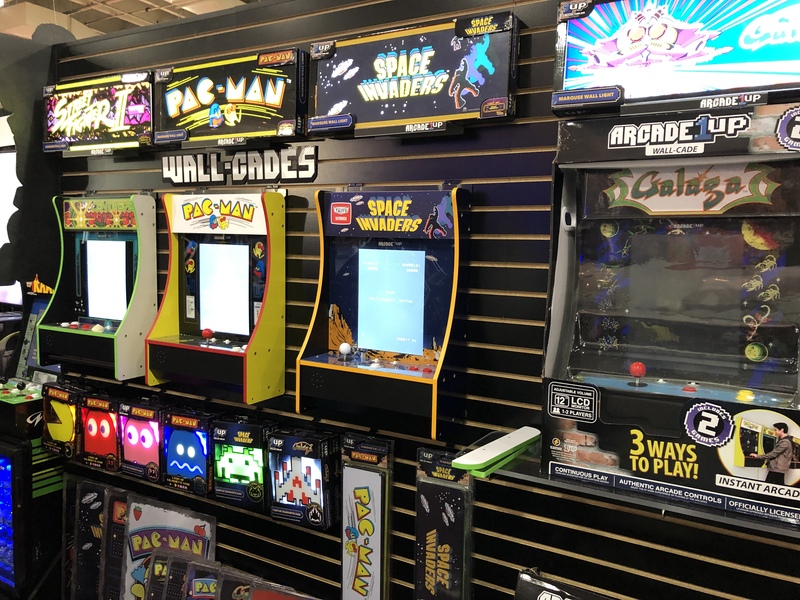 There are more lights for your arcade rooms including light-up marquees. Expect the character lights to cost around $14.99 similar to the previously release Pac-Man characters. Unclear what the marquees will retail for at this point. The plush look great and will mimic their offerings. 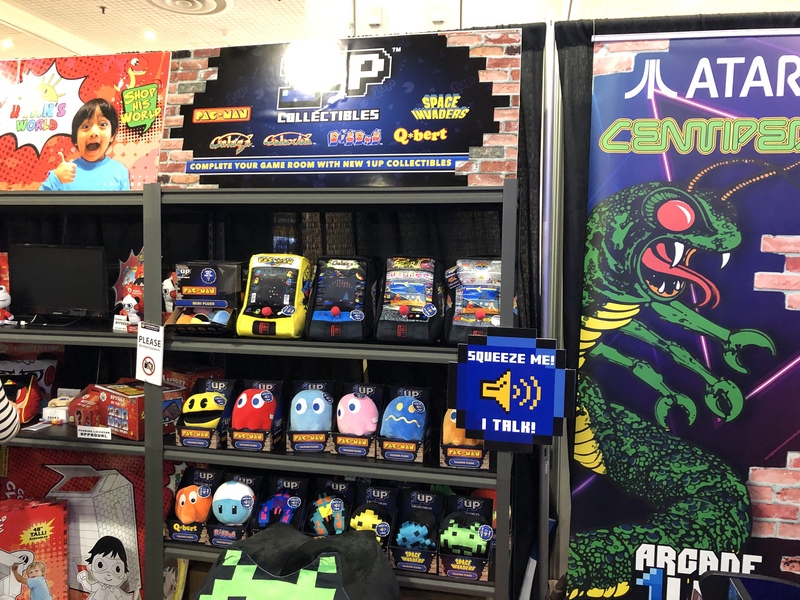 We saw a Q*bert and it is not hard to piece together what that means. The cocktail tables! 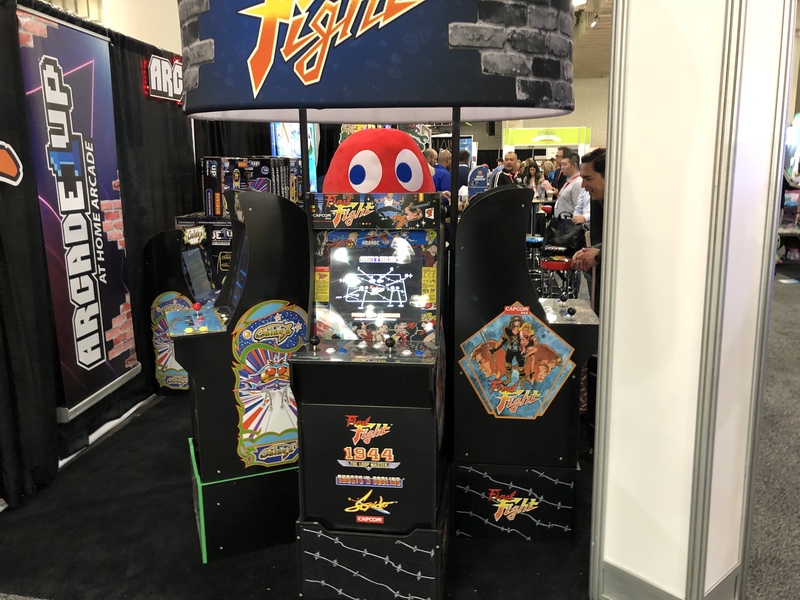 We got to try out a prototype Street Fighter table and were instantly impressed. It is split screen. meaning you can play against each other at the same time instead of taking turns! Unclear the full lit of titles at this point but expect all Capcom games on this unit. Nothing further on pricing or when to expect these, they are till fairly early in development. Expect more reveals at E3. Possibly some other retailer exclusives this year. Keep checking back and we'll update the site the moment we hear anything new.